YourLabs and the Knowledge Evaluation System in the news. Taking the concept that companies like Netflix and Amazon use where they amass user data to better serve their customers, YourLabs takes student information and their understanding of problems, currently in the area of science, technology, engineering, and mathematics (STEM), and lets the teacher know where and how they can better teach their classes. Whether the student is outspoken and comfortable with the material or they are quiet and reserved, YourLabs gives them an unintimidating opportunity to give feedback to the teacher. Weekly newspaper published in Tucson that covers the business, financial, and economic news of Southern Arizona. The National Science Foundation has awarded a $150,000 Phase 1 Small Business Innovative Research grant to Tucson-based YourLabs LLC, an e-learning software firm, to develop its Knowledge Evaluation System, a Web-based platform for student learning and assessment. YourLabs also has been chosen by the NSF to be an exhibitor at the 2014 Florida Education Technology Conference, the largest education technology conference in the U.S.
[Yourlabs] has developed the Knowledge Evaluation System (KES), a next-generation assessment platform that puts real-time learning data into the hands of students and teachers anytime, anyplace, and on any device. The company recently released KES to the education market and is growing its customer base through targeted marketing and word-of-mouth promotion. Also, the company has appointed a CEO and expects to hire an additional six people by year-end. Four technology startup companies – three of which UA students had a hand in developing – have recently graduated from the Mentored Launch Program at the Arizona Center for Innovation. 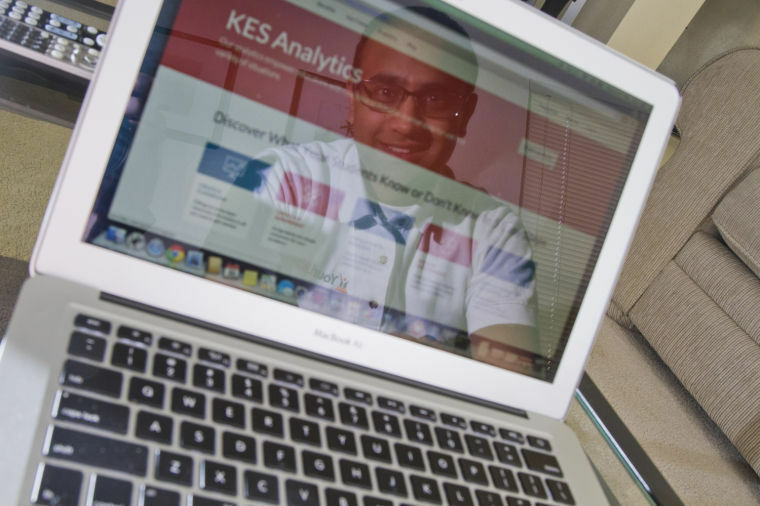 Data collected by KES allows for complex data mining and gives users the ability to view, analyze, and understand student data from multiple levels -- from a single problem, to a classroom, to an entire school, and all the way up to district and state. Budhu adds that "KES will make it easy for education administrators and policy makers to compare school performance within the U.S. and abroad, and make curriculum adjustments as necessary." Business incubator designed to meet the dynamic needs of developing technology companies. YourLabs also has been chosen by the NSF to be an exhibitor at the 2014 Florida Education Technology Conference, the largest education technology conference in the U.S.